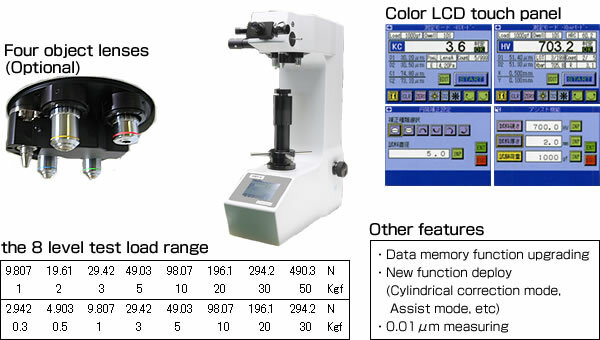 ◾Visibility and operativity improve by color LCD touch panel. 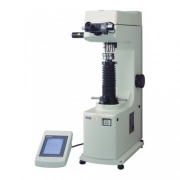 ◾The assist function which can identify the testing condition which is optimum is carried. 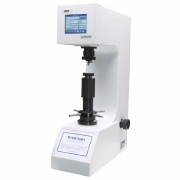 The testing condition which is optimum can be confirmed by satisfying 2 from 3 condition of thickness, hardness, test load. 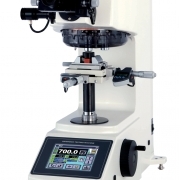 The new turret mechanism enables to observe wide specimen area with up to 4 objective lenses. Placement of an indentation and its reading is more accurate and repeatable by choice of proper abjective. A standard load changing range is expanded from six phases to eight phases. 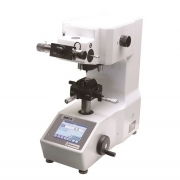 The new model can correspond to a wider measurement condition. 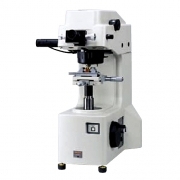 The new model realize 0.01 μm measurement at general magnification 200X - 1,000X. the new model get possible to measure with accurate numerical value about a small indentation. 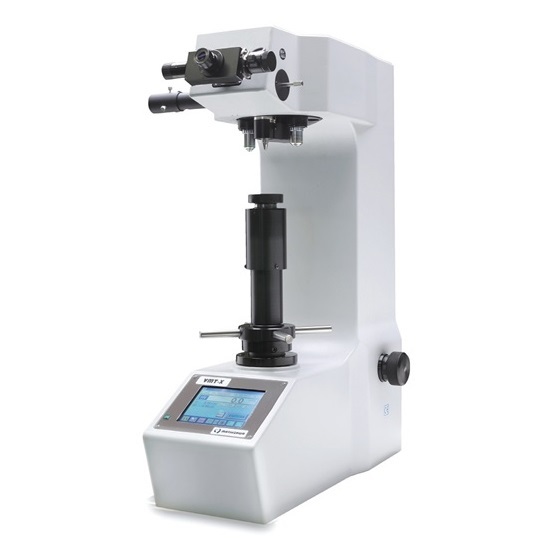 upgraded maximum data memory capacity from 256 to 999.
it expand the number of the data management only in the hardness-tester more.